Here is the introductory post for my curation week @wethehumanities. Hope you can join us for a glimpse into the life of a Norwegian researcher! Week 4 four sees @wethehumanities take a Scandinavian turn with a curation from Norway. Kate Maxwell will be taking over the account on Sunday night and early risers will get to accompany on her mammoth fortnightly commute in the small hours of Monday morning. From the sounds of her introductory post Norway’s life-work ethic puts much of the rest of the world to shame and we suspect that we won’t be alone in googling visa applications by the end of the week. In its fourth week of rotation-curation, @WeTheHumanities leaves the shores of the United Kingdom for the first time. So let me invite you on a journey of discovery to Norway, where I am working on a postdoctoral project on multimodality in medieval manuscripts, particularly Old and Middle French literature and music. This is a guest post written by Jessica Sage and Kristina West, the founders of We the Humanities which went live today. A fantastic initiative, and in the week commencing 17th March I will be curating the account – yay! Follow @wethehumanities on twitter to join the discussion. After seven weeks of preparation, curator-sourcing and generous support, We the Humanities launches today. It’s the first rotation-curation Twitter account for the humanities, featuring a new guest editor every week who’ll be tweeting about their work or research in the humanities and their other areas of interest. Set up by Jessica Sage and Kristina West, who are both part-time PhD researchers and sessional lecturers at the University of Reading, the hope is that it will offer a central platform for discussion and news of the humanities in all its forms. From humble beginnings (a lightbulb moment whilst wearing pyjamas on a Sunday afternoon) the account now has more than 650 followers and 21 brave tweeters who’ve put themselves forward to curate for us. Today’s launch sees the account being taken over by Louise Jackson, the Head of Learning Enhancement at Trinity Laban Conservatoire of Music and Dance. Future guest editors include a senior lecturer in English and Cultural Studies at the University of Wolverhampton, an Assistant Curator in the Sculpture department of the Victoria and Albert Museum, and researchers from Norway, New Zealand, Australia and the USA. We are also looking forward to adding participants from the business world, primary and secondary education and any other disciplines associated with or interested in the humanities. The account’s set-up has been juggled with teaching and finishing a thesis (Jess) and teaching, PhD research and parenting (Krissie) and so it’s with relief as well as excitement that our first curation is underway. It has been great fun getting to know some of our followers in the last few weeks – and we’ve been overwhelmed by people’s generosity in sharing the initiative, suggesting avenues of publicity and hosting us on their blogs – but this is a project that’s bigger than two individuals. It’s this spirit of collaboration and the diversity of contributors that we hope will grow the account to reach more people, from those who’ve dedicated their working lives to the humanities to people with a mild curiosity in one particular area. Although it’s a modest project, we hope that @wethehumanities will contribute to debates about the importance of the discipline and provide entertaining and informative perspectives on an ever-expanding variety of research, interests and hobbies. You can follow @wethehumanities on Twitter here and you’ll find the blog here. If you would like to curate for a week the details and sign-up form can be found here. You can also get in touch with Jess and Krissie with any suggestions or comments that you may have by emailing them at wethehumanities AT gmail DOT com. Exile is never far from the news. It is never far from the scholarly press, either. Exiles, immigrants, refugees – call us what you will, we are everywhere. We always have been. Recently, a poignant, multimodal depiction of the fate of exiles has been doing the rounds on social media. Because it is set in Norway, the country in which I am also an exile, it is particularly relevant. Somalis in Norway wants us to think it a true story, ‘told to journalist Benjamin Dix and drawn by artist Lindsay Pollock’, as stated by the BBC on the link. It may well have its origins in truth – that I do not dispute. But how true is a story told to one person and drawn by another? Told in cartoon form – that medium more often associated with Tom and Jerry or Garfield, the medium in which characters pop back into life no matter what happens – the appearance is more of a fable. We, the readers, are distanced from the characters; we do not engage with them in their two-dimentional, colourless form. That is not to say it is not based on reality, or that is not believable. Rather, that through her choice of medium, the artist has chosen to distance readers from the realities of the situation. We do not dwell on the horrors of war, we scorn the brat-like children without emphasising with them, we expect the happy ending. Any details we wish to add – the feelings of the mother, the colour of the family’s skin – we have to imagine. With reader imagination providing so many of the details, then, how can the story be ‘true’? What is ‘truth’ in an age of photoshop and spin? The border between fact and fiction is permeable; it always has been. Not long ago I copy-edited a fantastic book on exile in twentieth-century literature: Languages of Exile, eds Axel Englund and Anders Olsson. (You can view its contents and purchase it here.) A scholarly book, yes, but a very accessible one. Some of its contributors are exiles, and all discuss the experience of writing in exile. Sometimes that exile is voluntary, sometimes it is forced. Sometimes it is a mixture of the two – a choice not to return home. The power of Nelly Sachs’ poetry (A. Olsson) or W.G. Sebald’s pictorial prose (A. Englund, K. Båth) is precisely its believability; the emotions conveyed are real beyond doubt, at least in this reader. The editors were not adverse to contributors’ own opinions creeping in, bringing the scholarly prose to life. Let me give just one example. I do not know, but I suspect that L. Miočević’s description of the BCMS region may be based on personal experience. What leads me to this suspicion? A vivid description with few references. The author’s name and ability in the language(s). Does it matter to the merit of her work? Not at all. Does it influence her work? Perhaps. It is tempting to see, or to look for, passion behind the professional, academic prose. Certainly, her prose, like much of that in the volume, is suffused with an energy that is rarely found in scholarly writing, and this without doubt contributes to reader enjoyment of the whole book. Exile is not new, nor is it going away. As borders become ever-more ephemeral, as Romantic notions of nationhood become ever more outmoded, exile will continue. The notion of the ‘other’ is as old as humanity itself, indeed it is much older, even if it has taken homo sapiens to give it a name (think of the geological term ‘erratic boulders’, for example). The literature on the monstrous in medieval art and literature, for example, is vast and growing. The monster can signify internal or external struggle (Beowulf, Crusades, knights’ quests). The other is not always debarred, but the visionary, the saint, treads a difficult path and is often misunderstood. 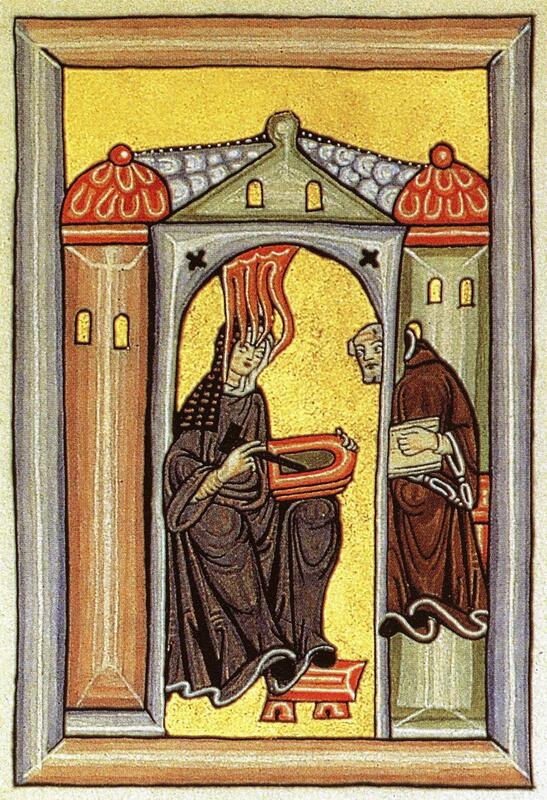 Hildegard receives and dictates a vision. Image from Wikipedia Commons. When we left the UK in 2007, we intended to return. We left because we could; because there was an opportunity to do so, and we wanted to taste life outside of ‘home’ before we became so tied to ‘home’ that we would never leave. Putting that another way, we saw disgruntled Glaswegians (principally – we were in Glasgow, after all) grumbling, and we decided to see life elsewhere before settling down, before our careers took off. We were not unhappy in Glasgow – far from it! – and it remains one of our favourite places. But I don’t know if we could ever live there again. So much is learnt about a place only by living there. Did you know that Swedes don’t hold doors open, and will only rarely offer to help a person struggling with a large bag? And do you know why? (Clue: the Jante law.) Did you know that in Paris you will receive abuse if your dog does his business on the pavement even if you have a bag in your hand ready to clean it up? Did you know that Norway displays original art in high schools because of the belief that doing so inspires young minds to learn, and teaches them to interpret the world around them? Shall I say that last one again? Original art, in schools. On the walls, unprotected, undamaged. For the benefit of young minds. In Norway. A recent article in leading newspaper Aftenposten called for more. 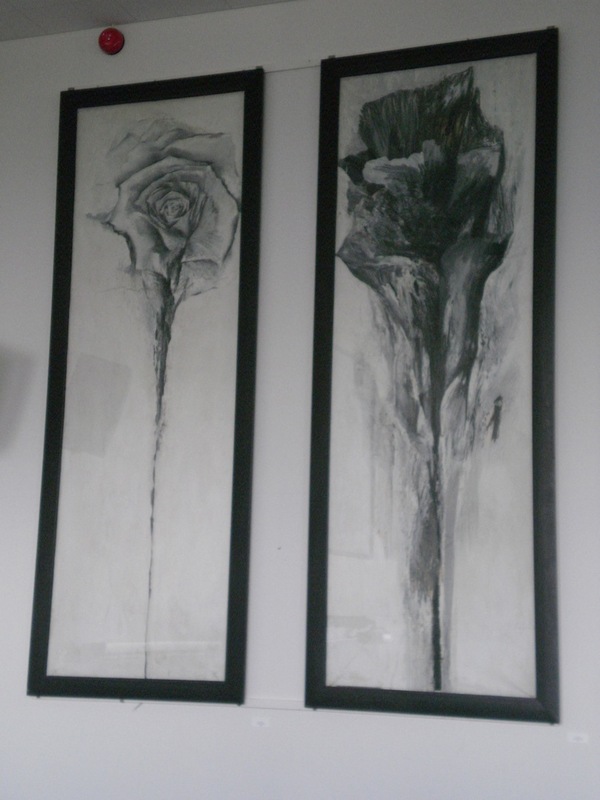 The photo above is of two items in the collection of Beat art paintings donated to Kristiansand Katedralskole, and the neighbouring university, by the collector (and alumnus) Reidar Wennesland. While such generousity is relatively rare, the culture that fosters it, and still encourages it, is all around. 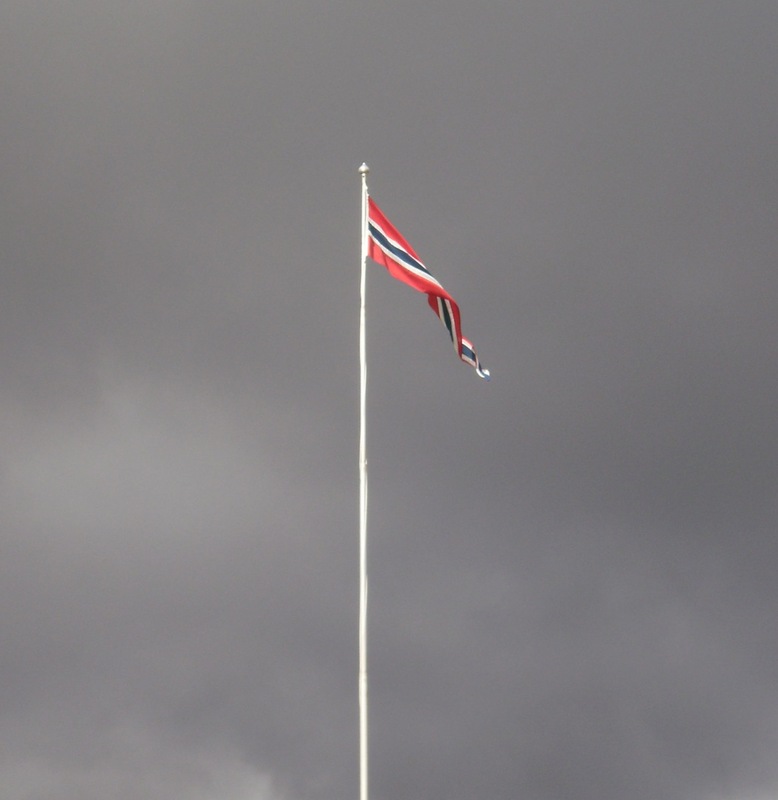 This week, Norway was ranked as number 1 in the world, for the fifth year in a row, in the Legatum Prosperity Index. Coincidence? Maybe. This week I, a junior academic, have been invited to take part in a national meeting for postdocs in Oslo (I hope to attend), and invited to apply for 30,000 kroner from the research council in order to attend an ’emerging leaders’ seminar (which sadly I have to let pass for family reasons). Meanwhile, the country where I was born, whose passport I hold, and in whose general elections I can vote, brings in bedroom tax and dubious education policies, and tries to run on everything on a business model at a time when the dangerous self-seeking incompetence of big business has brought so much of the world to its knees. Yet I was born and educated in the United Kingdom. My MA and PhD were state-funded. Do I not owe it to my country – and my fellow citizens – to give something back? Believe me, I have asked myself that question repeatedly. In my time living in the UK I did give quite a lot back. I worked throughout my MA to support myself, since ‘state funded’ meant simply ‘no fees, crippling loans’. As of this year, 16 years on, I am now finally earning enough to be paying back those five crippling loans, which are from the ‘old scheme’ (that is, the one without any tax benefits and where repayment is at a set rate) and have thus accumulated plenty of interest for whomever now owns them. During my self-funded MPhil I worked no fewer than four jobs concurrently, mostly in order to pay the council tax which, for a north-facing pokey flat in the East End of Glasgow occupied by two part-time students, was more than a family member paid for a four-bedroom detached house on the banks of the Thames. I spent a year as a professional musician in the armed forces, and though it was not for me, I have the deepest respect for those who choose such service as part of their career. I have now worn the poppy in remembrance day concerts in four countries. At the start of this post I spoke about the exilic status using the first-person plural. That was deliberate. I do not feel that I am able to return to my ‘home’ country. I was not forced to leave, nor am I debarred from returning. But, having viewed that land from abroad, and experienced how things can be otherwise in societies which reap the fruits of fair taxes, I have no desire to return. This ‘voluntary exile’ status is very different from that of those who have had no choice but to leave their homelands. In many ways, it is a question of principle. In others, it is a question of doing what is best for my children – something to which most exiles can relate. I bear no ill-will towards the UK, and I will always be grateful for all that it has done for me, and to all those who made it the country it should be. But right now, and for the foreseeable future, the United Kingdom is not a place that I could call home. That means that my Swedish-born children will likely grow up ‘Norwegian’, but I don’t see what is wrong with that. We fly the saltire, we celebrate Christmas on the 25th December and Rabbie Burns a month later. 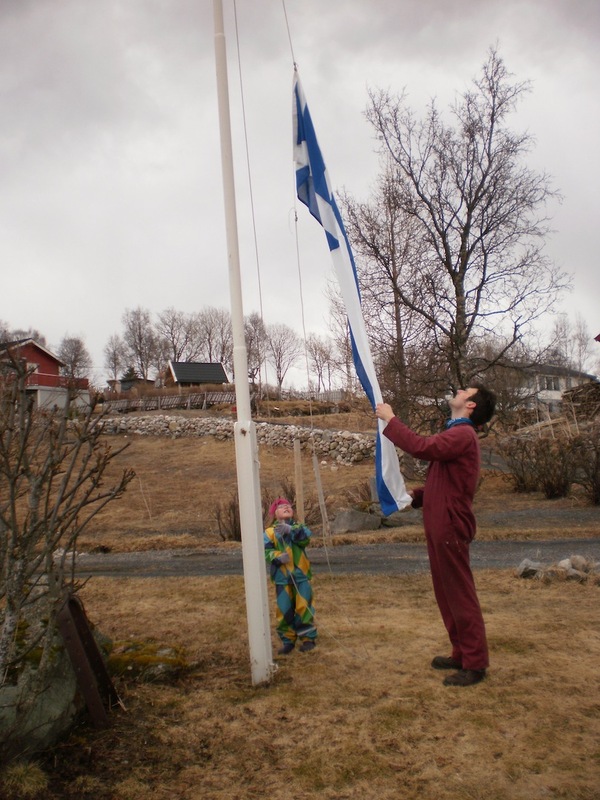 But we also fly the Norwegian flag on the 17th May and we speak four languages at home. Let the children make of that what they will. There’s one thing I regret about my PhD: handing in the day after my first baby’s due date. (Baby was conveniently late.) The fact that things worked out that way due to circumstances beyond my control – together with my determination to get one baby out of the way before the other one arrived – does not help. It was stupid to risk my (and potentially the baby’s) physical and mental health in such a way, and I suffered as a result. This is not intended to sound negative. There is a happy ending. The baby was fine, the PhD was fine, and I recovered. But I view it now as a harsh introduction to, and as a symbol of, the struggle faced by so many academic parents, regardless of gender, sexual orientation, partnership situation, background, disability status, and all of the other factors which make up a person. How on earth is it possible to combine the demands of a life with children with the demands of an academic life, particularly in the delicate post-PhD stages? Obviously, there is no simple answer. Every situation is different, and I am sure that a great deal depends on the age of the child(ren) at the time of hand-in (though they do say that the grass is always greener…). Yet one thing I do know: becoming a parent changes your view of life. The ‘baby’ metaphor was no joke. I really did think of my PhD – and my dog, for that matter – as my ‘baby’. Then I became a parent, and realised that such metaphors are comical not just because they are amusing, but because they are so woefully inaccurate. I do not wish to wax lyrical about the joys and tribulations of parenthood, for there are plenty of other blogs for that I’m sure. No, what struck me was this: having become a parent, my family became more than the most important thing in my life. They became my life. The PhD, the research, the professional life that had mattered so much to me became just a job. A job I loved, that’s true, but nevertheless just a job. It was a radical shift of perspective, and one that didn’t happen immediately. After the arrival of my first child (though for many parents they don’t come one by one), the first weeks (months, even) were consumed first by the needs of the child, and then of the parents. Basic needs: health, nourishment, sleep, fresh air, and, where possible, sanity. At some point during that time I had my viva. It took place the morning after a night of very little sleep (babies have an instinct for these things), and I remember frantically re-reading bits of my thesis on the train as I made my way to the university. What on earth had I written about? Two hours of intellectual discourse later, I realised that it was not only perfectly possible to switch mental gears, but that I really did know my stuff. Later, lunching and chatting with colleagues while breastfeeding, I felt everything was possible. Indeed, most things are possible, though they might take longer than they would for non-parents post-PhD. My PhD corrections only took a week, but that week had to be booked in advance in order to ensure childcare with breastfeeding breaks. After weaning (and graduation) I took up a part-time teaching fellowship. While switching the brain back into ‘work mode’ was easy enough, it took me much longer to learn to quickly return to ‘parenting mode’, to move from intellectual debates back to spending a day with someone whose only word was ‘buh’ (and enjoy it too). Then baby no. 2 came along, and we did several conferences together: baby in the sling, grinning, sleeping, feeding (even while I gave a paper). I kept up the part-time work, researched alongside, and made ends meet. There are, however, only so many hours in a day. I did not have the time (or, truth be told, the inclination) to bombard the job market as a working parent to two young children. Any jobseeker will tell you that jobhunting is in itself (virtually) a full-time job; any parent will say the same. So I took my time, and I became extremely picky about what I applied for. After all, being part of my children’s early years seemed far more important than jumping straight onto the academic job ladder and all it entails, despite the hopes, ambitions, and expectations I’d harboured as a student. Whereas I once would have taken virtually anything and made it work, I took an honest look at myself so that I didn’t waste my efforts on jobs that were either above or below my skills and needs. I only applied for those for which I had a reasonable chance of success and were close enough to perfect to justify the effort and potential upheaval. 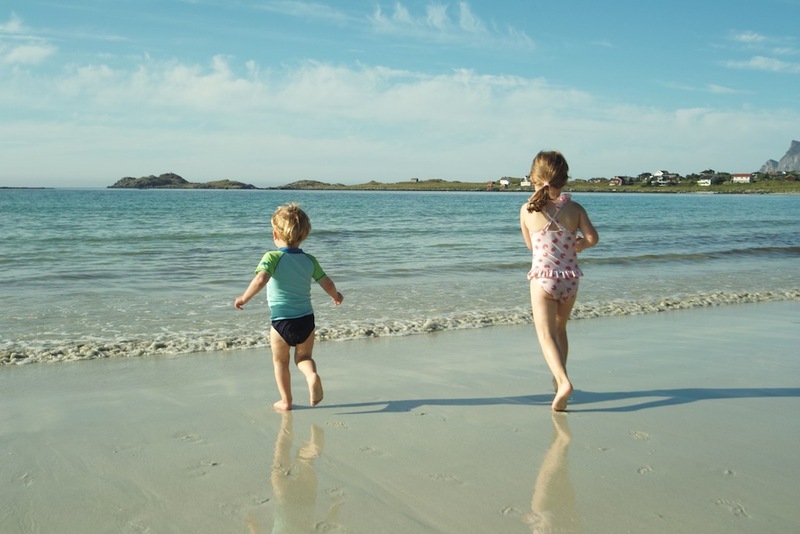 My patience paid off: when my children were four and two I began my dream post-doc, returning to full-time research with eyes very much open both to life outside the academy and within a family. The fact that it is a two-year contract is actually an advantage: it gives everyone involved a chance to assess how things are and work out what will happen next. Throughout those years ‘on the sidelines’ I continued reading, got some publications, attended carefully selected conferences, and kept an eye on job listings. I also spoke to other academics who were parents, particularly those who had been parents for longer than me. Their advice was unanimous: take your time, things will work out in the end. They were right. The journey of parenthood is long, and learning to balance everyone’s needs takes time. So I shall finish by repeating and reiterating the advice I heard: let the rat race rush by you for a while, put aside the anxiety, and try to embrace any uncertainty as life’s way of telling you to enjoy your kids. This is a post I wrote for the RMA (Royal Musical Association) blog, which you can view here (without the photo): http://www.rma.ac.uk/students/?p=1152 (published 1st October 2013). Because let’s face it: for those of us lower down the academic ladder, reviewing books is scary. There are pros and cons. Of course there is the free book. That said, I have reviewed a book for which I’d already forked out a considerable amount of money, because the review request just came too late for me. But I said yes anyway. Why? Well, it is actually satisfying to give back to the academic community. I don’t intend that to sound trite. And yes, putting your name alongside your review gets your name known. And the cons? It’s hard work. A wholly positive review is rarely good, or even justified. There is (almost) always room for improvement in (virtually) every book. Therefore, in agreeing to write a review, you also agree to make fair criticisms. There is a difference between a fair criticism and an enraged response. While differences in opinion are reasonably easy to justify, it can be very difficult to respectfully state why you simply did not enjoy a piece of writing. We all know that not every reader will enjoy every writing style. We all know that the writing style should not mask the message of the text, even for a reader who does not enjoy it. But sometimes, the writing style can be so against what I find pleasurable to read that the message of the text is lost. How much that is to do with a text being poorly written or with me being a poor reader is difficult to judge, and even harder to write about. Finally, you cannot write a review without reading the book thoroughly, every word. That means that you can’t just skip a boring paragraph. You can’t decide that one essay out of collection is so bad by the third page that you need to give up and move on to the next. No, you have to stick it out. And, if you’re going to be a purist (which I am), you need to read it in order. So no reading the most relevant or interesting sections first (because, when I do that, I don’t always read the rest). Start to finish, just as nature – or the editor, or author – intended. For this reason, I would be unwilling to review a book that I did not already intend to read cover to cover. 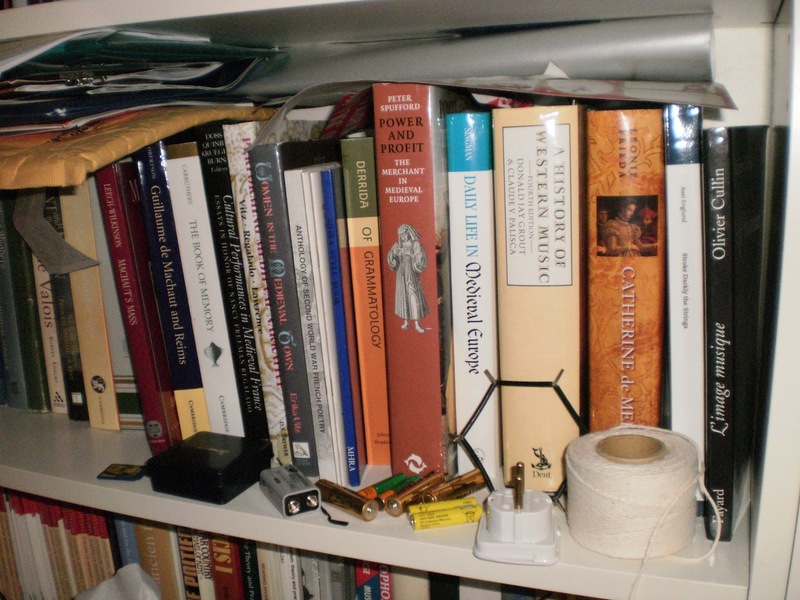 The books I have reviewed I have done so for a similar reason that I review conferences, or live-tweet conferences: it helps distill my thoughts. My book reviews have three versions on my hard drive. The first is my raw thoughts, a record of what I thought in the moment, before knowing what comes next. Then there is the first review, which is more than a first draft. In that, I make a first distillation of the raw thoughts, yet still allow some emotion through, because that is what gives the review a personal voice, honesty. Yet that first review is not suitable for publication. No, the first review is for sharing with close colleagues, those who might actually want to know your untempered thoughts on the book, yet who deserve the structure of a polished review (i.e. without the drivel of the raw-thoughts version). These same colleagues, if willing, are very helpful for the second review, the review for publication. They can help tone down severe criticism or effusive praise, and, if they have also read the book, can offer viewpoints which may or may not be incorporated into the final published version, but which are nevertheless interesting and useful to know about. (Here I would like to thank Peter Davies and Anna Zayaruznaya who have both filled this role at various points.) The second review, then, is for the journal. It is metered in both criticism and praise, it covers all the major chapters in the book within the word limit (no mean feat), it situates the book in relation to past, present and future scholarship, and it should be understandable to readers outside of the field. The structure of the review will vary as to its destination. If you have been asked to review for a publication which is dedicated to book reviews, that review will be longer, more detailed, and more thorough than a review for a publication in which reviews are the mint sauce to the meaty scholarly articles. Additionally, if the book you have been asked to review is entitled Intricacies of Baroque Parasol Craftmanship your piece will be different if it is for Historical Umbrella Quarterly than it would be for Perspectives on History. (Yes, I made up those names.) Indeed, when I read a book for review, I actually read it with the future review audience in mind, and their invisible presence shapes the review in all of its various stages, from raw thoughts to polished version. Finally, I try not to forget the virtue of silence. My grandmother always used to say ‘if you can’t say anything nice, don’t say anything at all’. Following that to the letter might make for a very short book review. Putting it in a more scholarly perspective, the ‘feedback sandwich’ was drilled into me both in teacher training and in research training: whatever may need to be said in the middle, buffer it with two slices of good, positive bread. Here, dwell on the contribution the book makes for future scholarship – generating debate is a good thing, after all, even if that debate might be against the book (in the reviewer’s opinion). However piquant or pleasing your sandwich filling, the bread can cleanse the palate. Two final nods. First, Pat Thomson’s blog post on writing a book review is a must-read: patter, 22 July 2011. Secondly, Elizabeth Eva Leach, professor of music at Oxford and winner of the 2013 Dent medal, recently tweeted (6 Aug 2013): ‘Really wish I were more often sent MSS before publication. I’d far rather be helpful than moan in post-publication reviews. #academiclife’ (@eeleach). Both of these got me thinking. One for being such a great tool (thanks Pat), the other about the (relative) finality of publication, and of the pre-publication process. Lengthy and stringent as it is, it is not infallible. Reviewing a book is an opportunity to closely read a text, and to interact with it in a way not otherwise possible. It is not a competition; it is an engagement, a critique, a discourse (with all that entails). There is some room for creativity, and personality too. But you don’t have to accept every request. It is my opinion (and practice) that a few, well-thought-out reviews are better than a greater number with potentially lower quality thought and judgment, though I admit that there are doubtless many who are better – and faster – at reviewing books than I am. So feel the fear and have a go – and don’t knock it till you’ve tried it. Today is an important day for me. It marks the end of my postdoc’s six-month ‘probation’ period at the University of Agder, Norway. In other words, it is now quite difficult for my employer to get rid of me before the end of my contract. It is also harder for me to leave them until that date. Until today, either of the parties named on the contract – that is, me or them – could break the contract without giving reasons and with (more-or-less) immediate effect. As of today, much more stringent rules apply. Let’s look at the positives first, for there are many, though I will name only a few here. First of all, it is a vote of confidence in me, and in the project. Secondly, it gives me a chance to really knuckle down and plan for the rest of my postdoc term, without the nagging feeling at the back of my mind that I might have to terminate after six months. (More on those plans in another post soon.) Thirdly, it puts me in a stronger bargaining position. I don’t feel I have a lot that I need to bargain for with my university, for they are very supportive, but it means that, should I wish to do so, I have a firmer ground on which to stand. The other side of the coin, of course, is that I am on a limited-duration contract. This project is for two years, then that’s it. I can either apply for external funding to continue the project for one year (another short-term contract), I can look for another job, or I can return to running my own business (skatemaxwell.net). All three options have their ups and downs. My business was successful, and I have had to turn away (pass on) quite a bit of work since starting my postdoc. There is a lot of talk about alternative academic (‘altac’) careers at the moment, and I am one who moved from one such career back into academia. (Again, more on that in another post.) The applying for money for another short-term contract would have the advantage of maintaining the status quo, and giving me time to finish up anything that I don’t get done before January 2015, but it does mean (yet) another limited-time contract, and thus continues the uncertainty (or perhaps prolongs the agony, if we want to add a little melodrama). Of course, the permanent academic post is the holy grail. Particularly one which is in the same country (yes, you read that right) as my partner and co-parent. Right now I have an 1800km commute, each way. I do it fortnightly. Two flights each way. It costs around 20% of my take-home salary for the flights alone, and even more when accommodation and other travel costs are taken into account. I’m happy with this for now. For the first time we are working for employers in the same country (believe me, this commute is far better than my international commute was, and to be paid in the same currency and taxed by the same system is a big improvement). I am a full-time researcher and part of an exciting project at a supportive institution, and, crucially, I can work from home one week in two. But were I to take on a position, anywhere, with a teaching component, working from home such a large amount of the time would be much more difficult, indeed, almost certainly untenable. I live in Norway. Here, the academic hiring process is quite different from many other countries (see my post for The Professor Is In here, and the response from Jill Walker Rettberg, a professor at the University of Bergen, here). It is far from unusual for the Norwegian hiring process, with its independent committees and large applications, to take over a year. This puts me in a tricky position. On the one hand, from timing alone, I should be looking for post-postdoc jobs now. On the other hand, after only six months, my postdoc hasn’t (yet) produced the publication fruits I will need to display in the applications for jobs on the next stage of the ladder. Those fruits are ripening – I’ve been to conferences, I’ve started working on articles, I have a clear plan of outputs – but they are not yet at a stage where I can bundle them up and say ‘here you are, that’s what I did during my postdoc’. Of course they’re not, I’m only a quarter of the way through. Yet the hiring process takes a year… Yes, it’s a difficult circle. It’s a circle that is somewhat different from that faced by many which I consider to be my peers on the early career research ladder. One very timely blog post from someone at the other end of the postdoc contract appeared just this week: Katie Wheat is contemplating her next move with six months left to run on her postdoc – Katie’s countdown. The fortnightly ECR chats on twitter regularly discuss life after the short-term contract, and feature participants who have already leapt over that precipice. Blogs such as Leaving Academia and Thesis Whisperer give a no-nonsense view of Life As It Is. I know both from sources such as these, and from my own experiences in other countries, that Scandinavia is a very good place to live and work as an academic. But that does not mean it is easy. However, I didn’t sign up for easy. 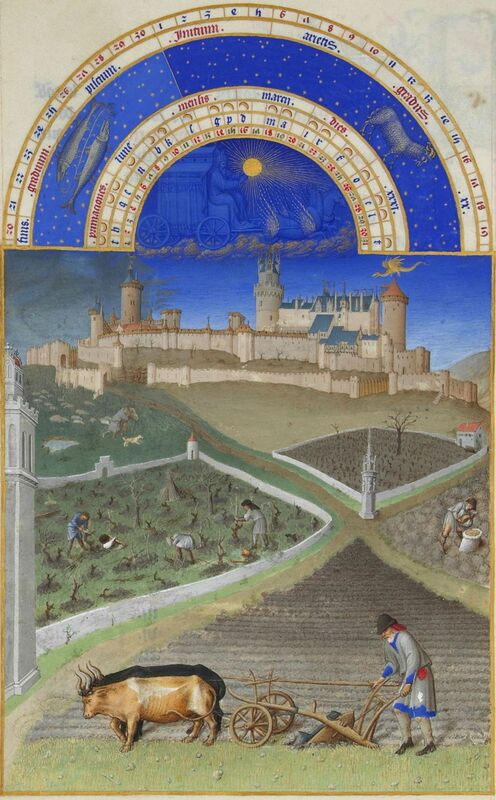 My postdoc ‘Multimodal Machaut’ is now six months in, and secure for the next eighteen, which will fly by. In that time I have to justify my institution’s faith in me, my own faith in my project, and decide what to do next and put it into action, all while maintaining that balance between work and family which is so perilous. The probation period may be over, but so too is the honeymoon. Now, back to work – for somewhere a clock is ticking (I could do most anything…). The conference is a relatively close-knit affair, with most of the delegates already known to each other. It has two keynote speakers, usually one from abroad (nevertheless with some connection to Sweden) and one from ‘home’. It does not particularly aim to attract international delegates (though they are of course welcome); rather it is a chance for Swedish-speaking musicologists to gather together to discuss their year’s work, to share ideas, and, importantly for some, to be able to present and talk about their research in their mother tongue. For while there are isolated papers in English, which is the conference’s second language, the principal language of the conference is of course Swedish. So much for the background; what about Musikforskning idag 2013? Well, for a start it was the smallest of these conferences which I have attended, despite being held in the capital. Nevertheless, the conference was still large enough to require parallel sessions, so of course I was not able to attend every paper. This, then, is a personal overview of the sessions I attended, with the papers which stood out as being particularly inspiring. It was a delight that the first paper I heard in full was actually about multimodality. Annika Falthin’s ‘Musikens mening i ständig förändring’ succeeded in being itself a multimodal presentation, with thoughtful and affective use of sound and image within her twenty-minute slot. She discussed the musical meaning in a performance by a group of high-school students. Highlights for me included the idea of youtube as a meaning-maker in itself, the idea of a ‘pojk’ (young male) community on display, that their choice of music might actually have been irritating for the audience, and the social semiotic meaning of body language, song, and music in school. The session in which I took part was the characteristic mish-mash of ‘old stuff’ in a conference with lots of – to be similarly generalising – ‘new stuff’. Mattias Lundberg was inspiring as ever, with an intelligent and sensitive analysis of recurring melodies in Swedish church music from printed books over three centuries (‘Accentus-sången i den svenska högmässan under 300 år: två av de mest frekvent melodierna i Sverige någonsin’). Johanna Ethernersson Pontara spoke in the same session about the ‘Neobarack i Lars Johan Werles tidliga operor’, in an interesting paper which the discussion showed I was not alone in thinking would benefit from some acknowledgement of the multimodality of opera. The ‘efter-lunsj koma’, as session chair Karin Eriksson so aptly described it, was saved by Toivo Burlin’s paper ‘Tukkipoika: Some Comments on Recordings of North Swedish Folk Music’. In it, he played us a magical array of recordings, and opened up a world previously unknown to me, but one which I would now like to explore further. Some session-hopping took place for me in the last session of the day, since I was keen to hear Mårten Nerhfors again, and he didn’t disappoint. His paper ‘Shaping the Community Through Song – Idealogy in the Song Collections of Johann Friedrich Reichardt’ was a fascinating overview of Reichardt’s aims with his compositions aimed at breastfeeding mothers, their babies, and at children. Coupled with the ideals of the Enlightenment – Reichardt was a fervent supporter of the French Revolution – the re-reading of his works in the light of his ideology was fascinating indeed. The day ended with Erik Wallrup’s sage discussion on ‘Lyssningsakten i stämdhetens historia’, a philosophical paper which combined Heidegger, Stimmung, mood, and Wallrup’s own term ‘attunement’. The final day opened with a paper from Lars Berglund which offered an overview of ‘Musikvetenskap och cultural history’. In it, he combined the Anglophone, Francophone and Germanic approaches to ‘cultural history’, and applied them to musicology, particularly as it is practised in Sweden. Following him was Christina Tobeck, whose paper traced the lives and work of two female Swedish pioneers in music and in medicine: Helena Munktell and Karolina Widerström. The final keynote by Cecilia K. Hultberg was symptomatic of one of the strengths in Swedish music research, that of music pedagogy. In her presentation ‘Musikalisk kunskapsbildning ur ett övergripande kulturpsykologiskt perspektiv’ she combined pedagogical, psychological and cultural theories to analyse specific cases of musical learning. This has been a necessarily brief and personal overview of a conference rich in ideas and fellowship, where works-in-progress stood alongside work of international quality. As one who has not ‘grown up’ in the Swedish system, I am always entranced at how the so-called ‘Jantelov’ works in society, here to good effect. Even more so than in other conferences, there is a strong emphasis on open discussion, with strict timekeeping in order to respect the sanctity of the discussion period. It is a small community in which scholars of all levels are equally welcome, and which seeks to advance knowledge and encourage scholarship at all career stages. I’m looking forward to next year already. * I would have also live tweeted the conference, were it not for the fact that the internet access for delegates at the venue just did not work. Such is (smartphone-less) life.